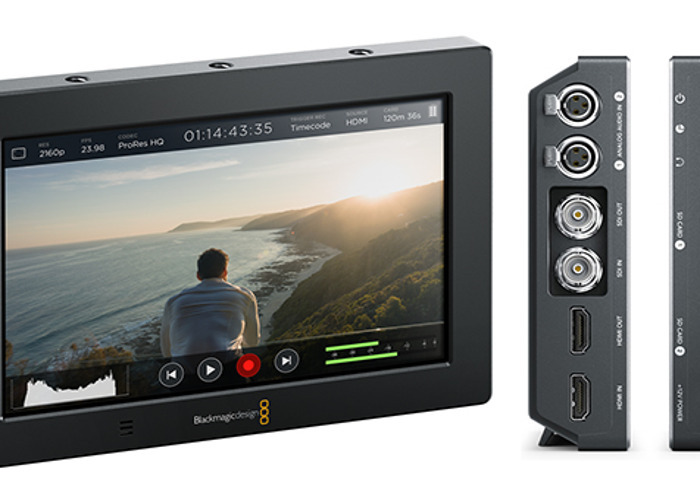 Blackmagic Video Assist 4K, pretty much new, comes with 2 batteries, you can use HDMI cables or SDI cables. Can also by powered with V-mount battery if you have D-Tap Type B Male To DC 5.5x2.5mm 12V Cable. The screen is much bigger than the normal Video Assist and you can record internally.